3 years ago today, we voted YES to a more compassionate Ireland. We listened to people’s stories and experiences, and said YES to removing the constraints that caused them suffering and denied them their freedoms. In 3 days, we have the chance to do that again, to remove from our constitution an amendment that has failed in its aims, and only contributed more grief, pain, suffering and trauma to the women of Ireland. On Friday, we have the chance, the last chance, to change that. Once more, with feeling – vote YES for a more compassionate Ireland. On Friday, repeal the 8th. Today, 10th September, is World Suicide Prevention Day. Reaching out for help or reaching out to help – even with a few simple words – can save lives. That answer doesn’t come as easy to everyone. Worryingly, the opposite answer comes too easily to many people. And more worryingly still, some of those people feel they need to keep that answer to themselves. Every year, more than 800,000 people worldwide die by suicide – about 1 person every 40 seconds – and for every one person who dies, there are over 20 more people who attempt to. It doesn’t have to happen. In the Mind Matters section of this blog, I’ve written quite a bit about how important communication is in not only breaking down the stigma around mental health issues but also breaking down the isolation that is so often at the heart of depression. When depression gets to the life-and-death level of suicide, that communication becomes the most urgent and maybe most powerful tool in saving people’s lives. The recent story of the Dublin teenager who asked a suicidal man “Are you okay?” is testament to that. That’s the beginning of reaching out. Even just those three words. And it can work either way. Whether you are worried for someone else’s safety or whether you are worried for your own, three words – “Are you okay?” or “I’m not okay” – could quite literally save a person’s life. It can be the beginning of that different life. Instead of dying, that man is now expecting a child, already named after the kid who asked him if he was okay. Don’t wait for someone to reach out to you. Whether you’re reaching out to help or reaching out for help, you can always reach out first. Here are some useful links and resources. 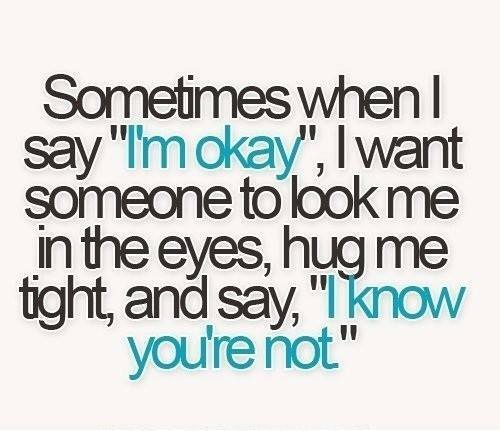 Understanding depression is crucial for reducing suicide rates. In Ireland, men are four to five times more likely than women to commit suicide. Even still, many of these 11 Things No One Tells Guys with Depression will apply to women too. There are plenty of mental health and suicide prevention organisations and groups in Ireland. If you or someone you know needs to, please get in touch with one of these organisations, or find the ones local to you. You would hardly know it was three days to Bloomsday. The middle of June in Dublin is usually infused with Joycean events and readings and articles, but this year, the face in the arts pages, banners and posters is not James Joyce but W.B. Yeats. Fair enough, though. 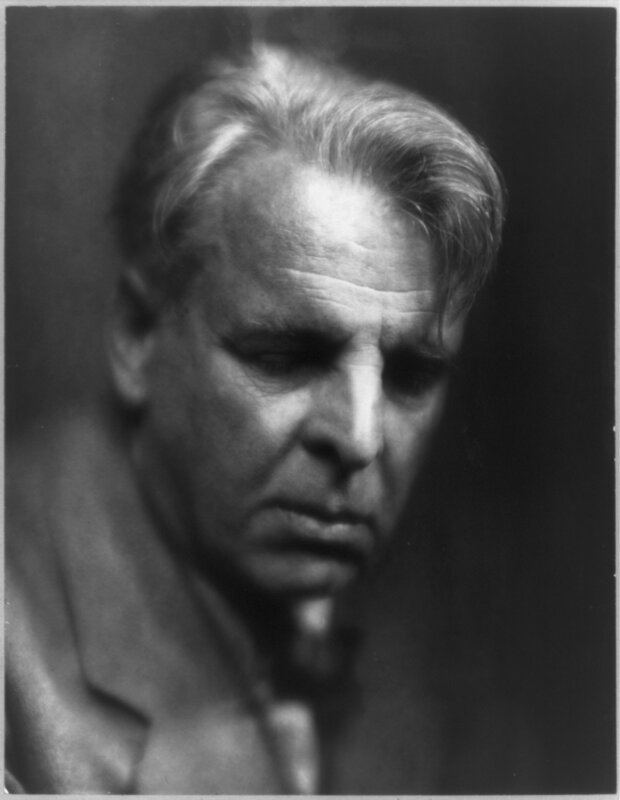 Tuesday might be the annual celebration of Joyce’s masterwork, but today would have been Yeats’ 150th birthday. I admit I’m not hugely knowledgeable on either. I’ve read and reread Portrait of the Artist… and Dubliners, but dipped no more than a toe in the “snotgreen… scrotumtightening sea” of Ulysses. I’m fine with the fact that I’ll die without attempting Finnegan’s Wake. The Yeats poems I know best are still the ones we studied at school – Sailing to Byzantium, September 1913 and When You are Old – and even though I loved mythology as a kid, I sometimes find his mythological and spiritualist allusions a little too cerebral for my tastes. For me, Yeats dealt more with the grandiose – with idealism and politics and nationalism – whereas Joyce was more rooted in mundane and intimate humanity, and it might be for that reason that I feel more of an affinity with Joyce’s writings. After casting my vote for marriage equality last week, I took off at dawn on Saturday to spend a few days with my godson and his parents. Other than a few snatched moments of internet access, I had little connection to what was happening at home. But I talked with my friends about what was happening, about what I hoped and what I feared might happen. I told my godson’s father about how I was worried the vote would be a lot closer than the polls showed, that a silent No vote could hold sway. He said something that gave me some hope. He said that even if it came to the worst, even if it was a No, it wouldn’t be a No for long. Eventually, he predicted, equality would come, because something amazing had already happened and Irish society had already changed. I knew he was right. I’d seen that change. We’ve all see it. Over the last few months, Ireland’s LGBT community has come out en masse – with all the uncertain and nerve-wracking courage and bravery that must take – come out to ask for acceptance. Not tolerance – a distinction made brilliantly by American activist Ash Beckham – but acceptance, to be inclusively treated as equal citizens in Irish society. There was no ignoring or denying the scale of that movement: Yes or No on the day, the closet door was open for good. Ireland is neither the most vulnerable not the responsible country when it comes to climate change. But like every country, climate change will – and already is – having an impact. We have a role to play minimising that impact, both on our own shores and as part of a global effort. As an island, Ireland is vulnerable to sea level rise, and to flooding and extreme coastal erosion due to Atlantic storm surges – as was witnessed by a series of storms in the winter of 2013/4. Such events are already occurring with greater frequency well before we reach even 1 degree of the projected 2-4 dregree global mean temperature rise. 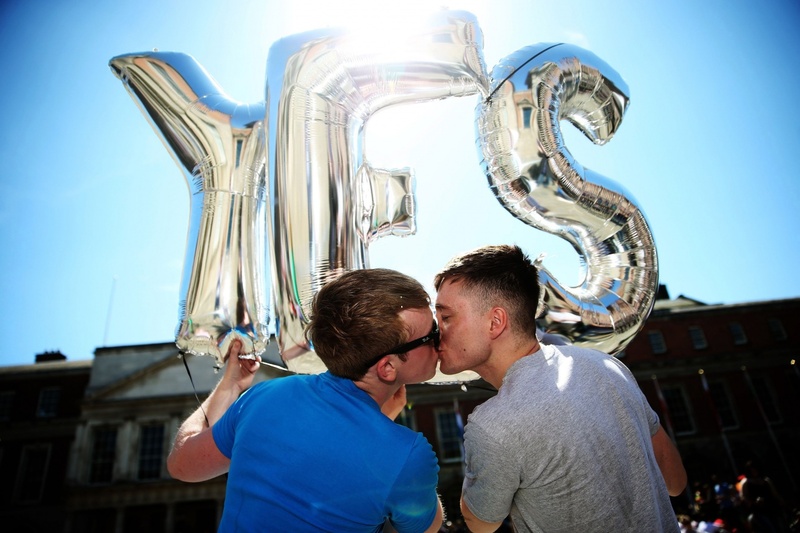 As Ireland votes on marriage equality, is the religious objection really as clear-cut as it seems? Yesterday, someone very close to me said that, because of his religious beliefs he couldn’t bring himself to vote Yes. He had made his mind up to vote No because he believed it was what Jesus would do. I left the religious issue out of yesterday’s post because this is a referendum purely on the issue of civil marriage and that is what we need to focus on. But the reality is, many people will vote based on religious beliefs. In pamphlets, statements and homilies, bishops and priests have advised mass-goers to vote No, to preserve traditional religious understandings of marriage, even though religious marriage is not at stake in this referendum. For many people who believe they have God on their side, the rest of the discussion is irrelevant.